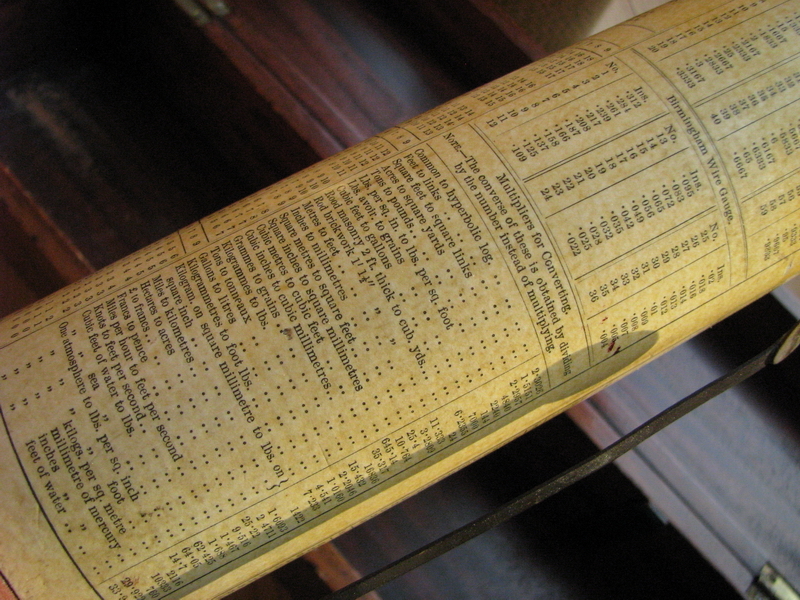 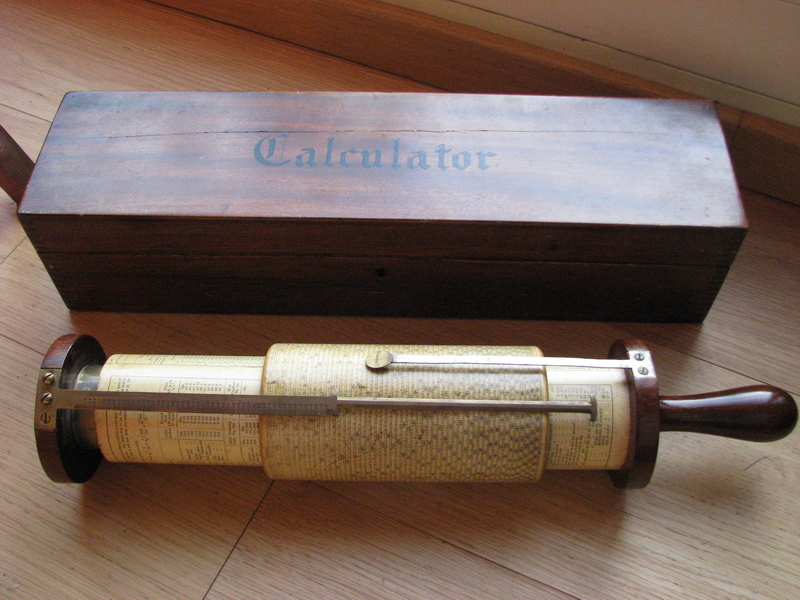 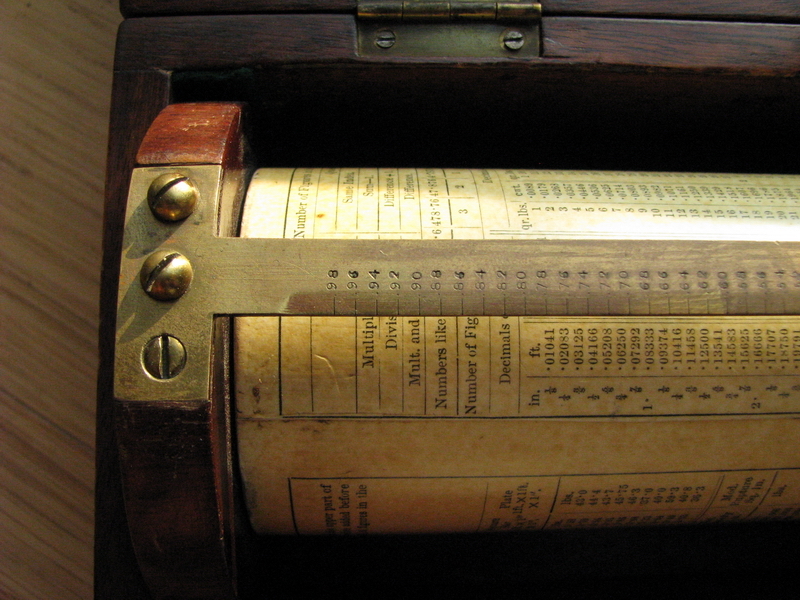 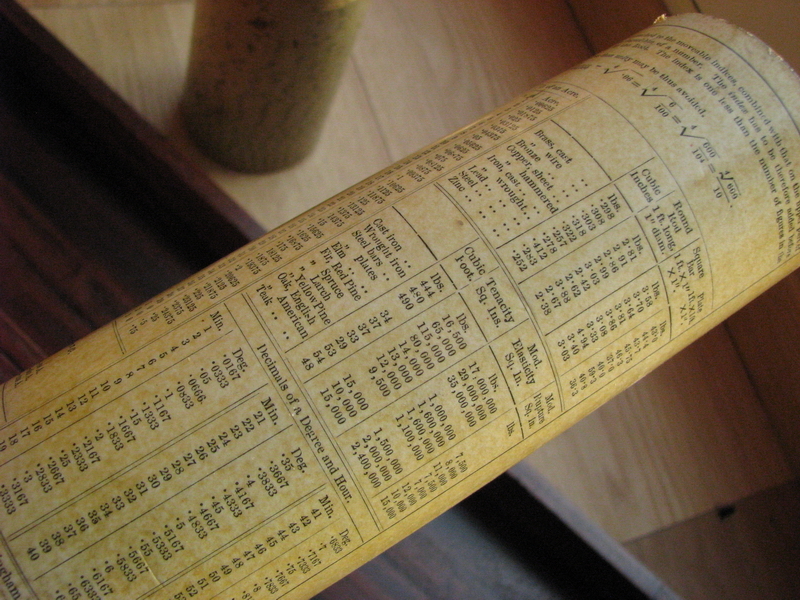 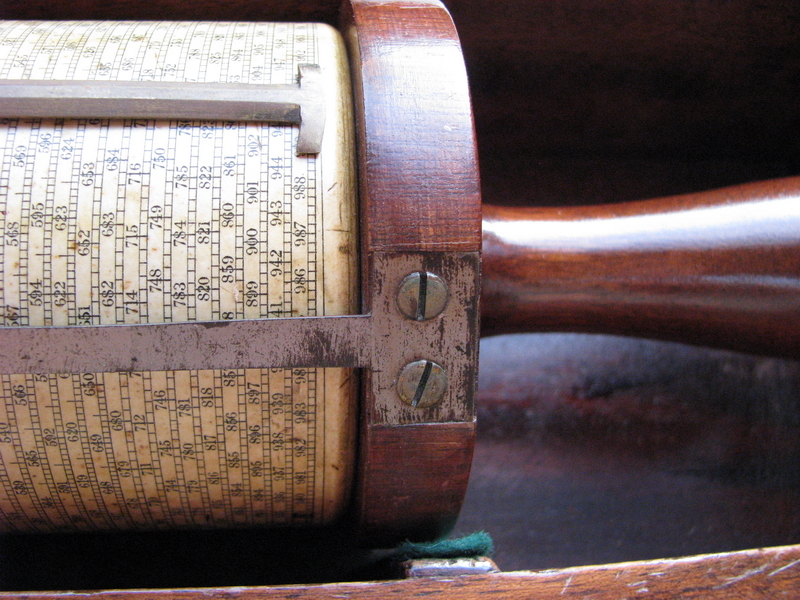 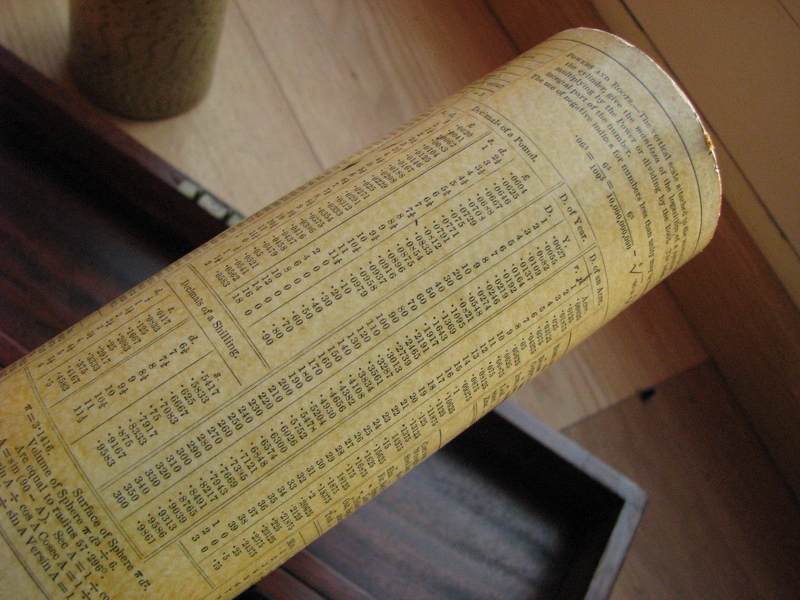 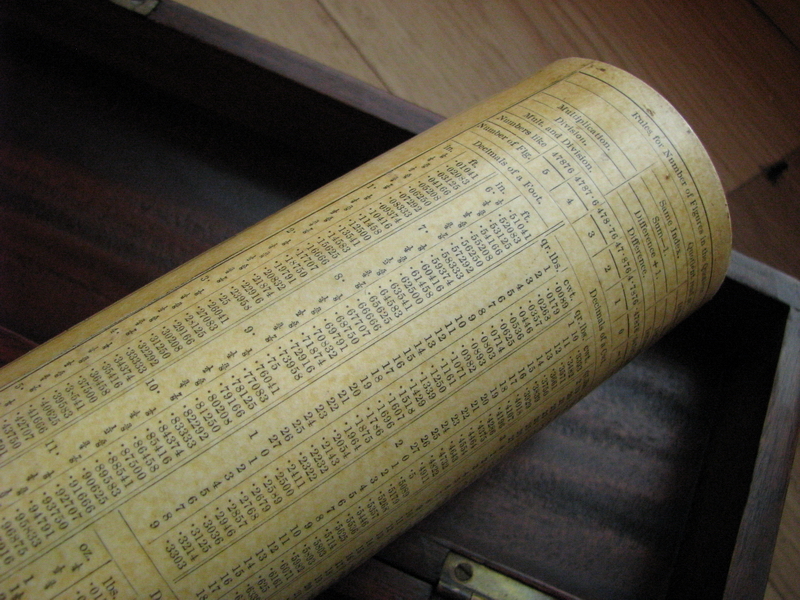 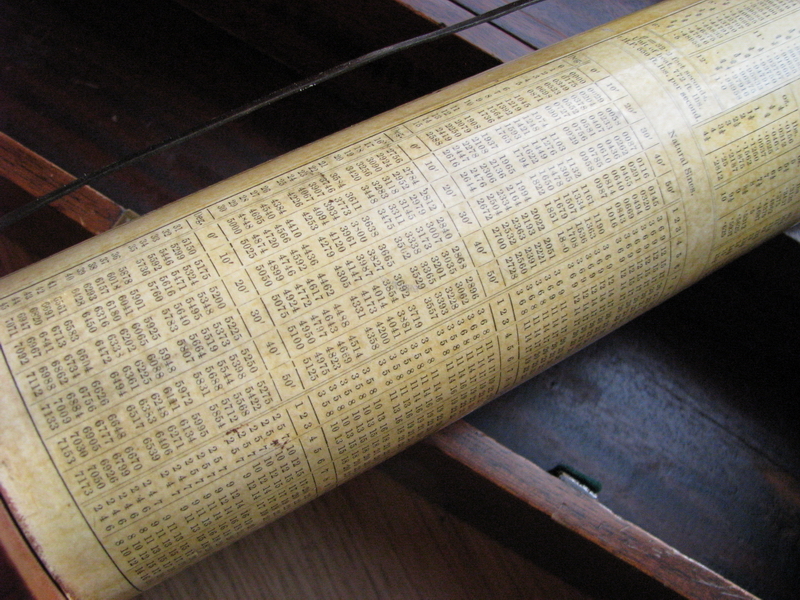 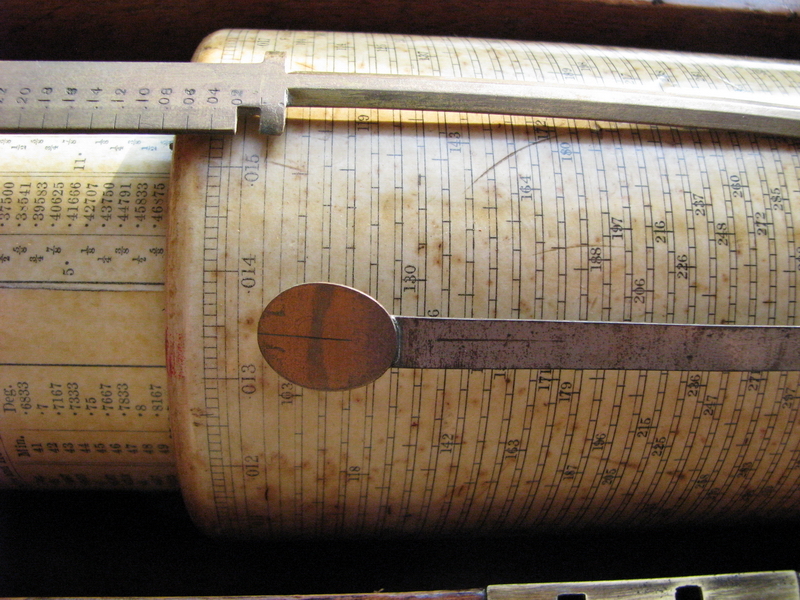 Very, very much out of character for my collection, because it is not a four-function calculator, but a slide rule. 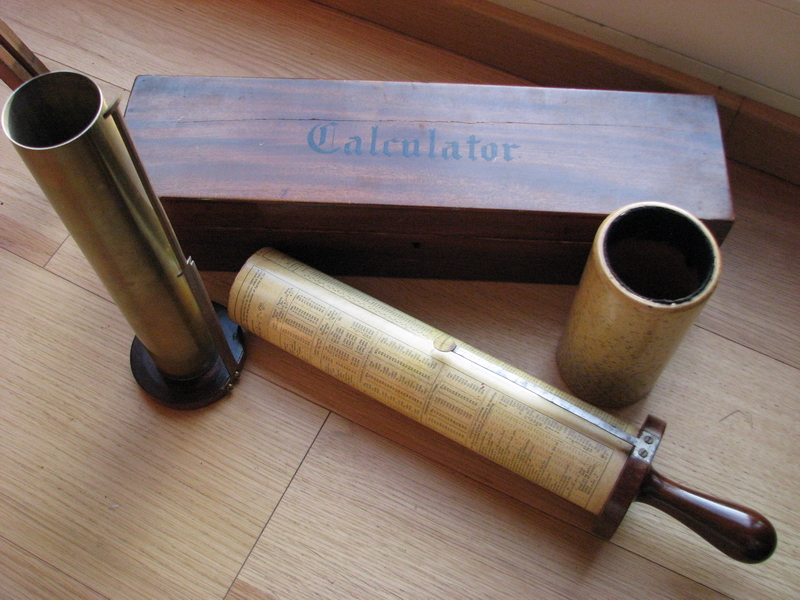 I bought it in one lot, together with my Tate's arithmometer, and it turns out it is a rather interesting example after all, because it is very, very early, probably one of the first 100 constructed, dating back to 1880, and that makes it the oldest machine in my collection, as the next oldest is a Brunsviga from 1893. 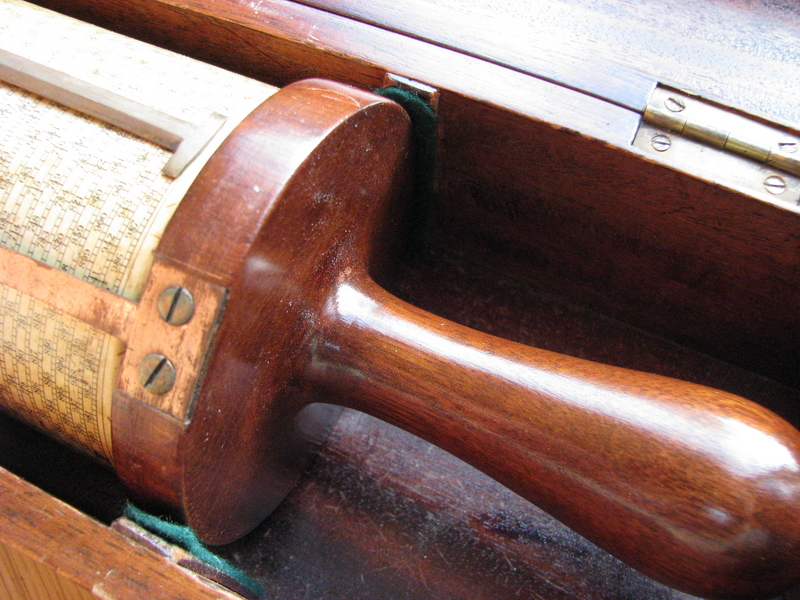 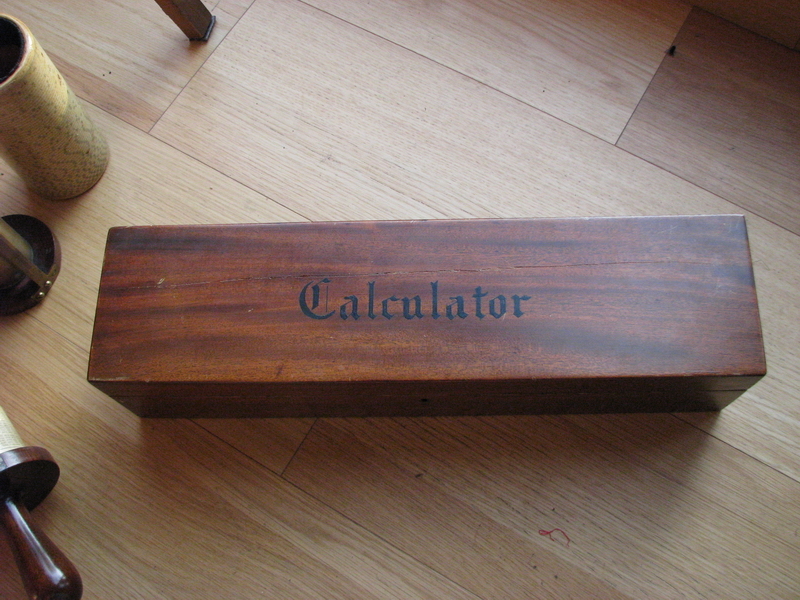 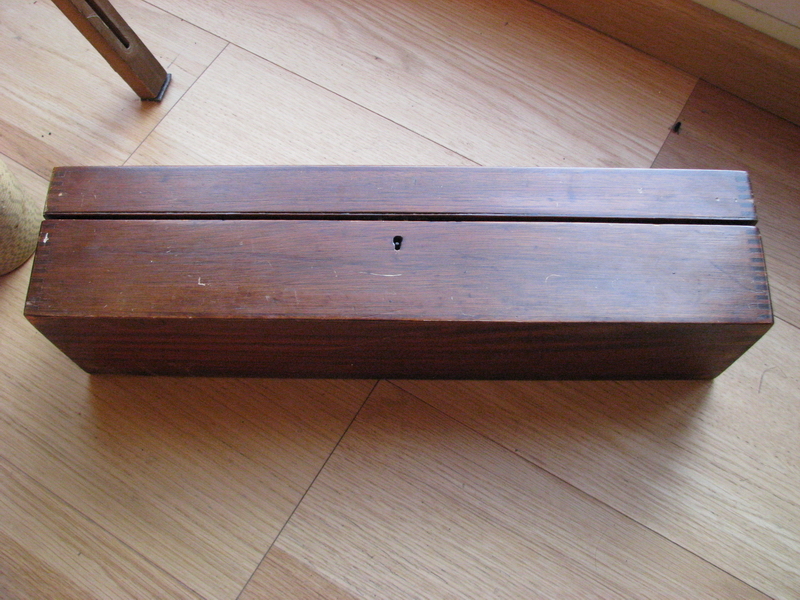 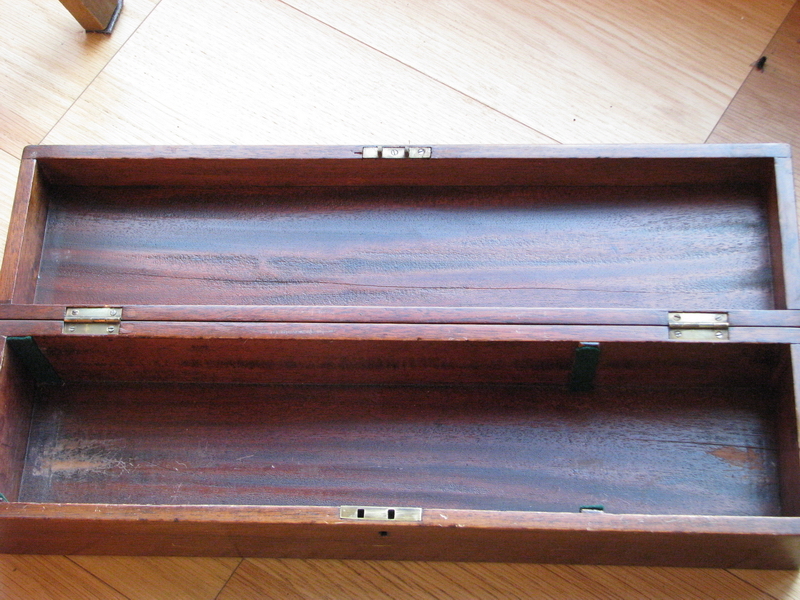 Wooden box stencilled with "Calculator"
No serial number or year stamped on the movable pointer, knife-edge pointer, and straight cut instead of rounded corners at the top. 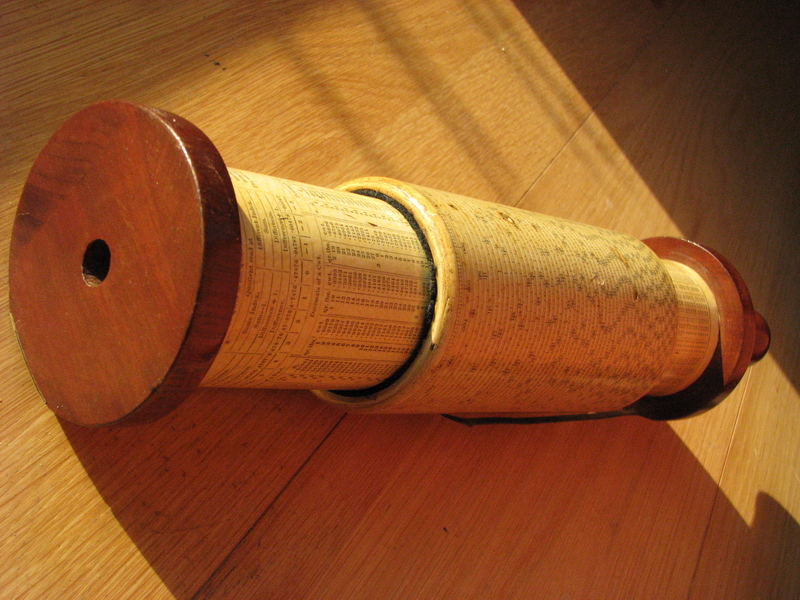 By 1882, a number of these features had already changed. 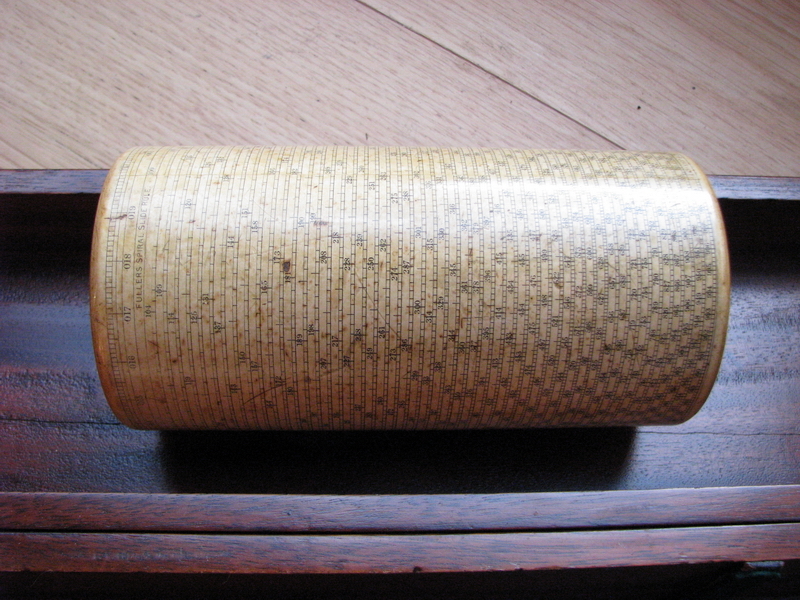 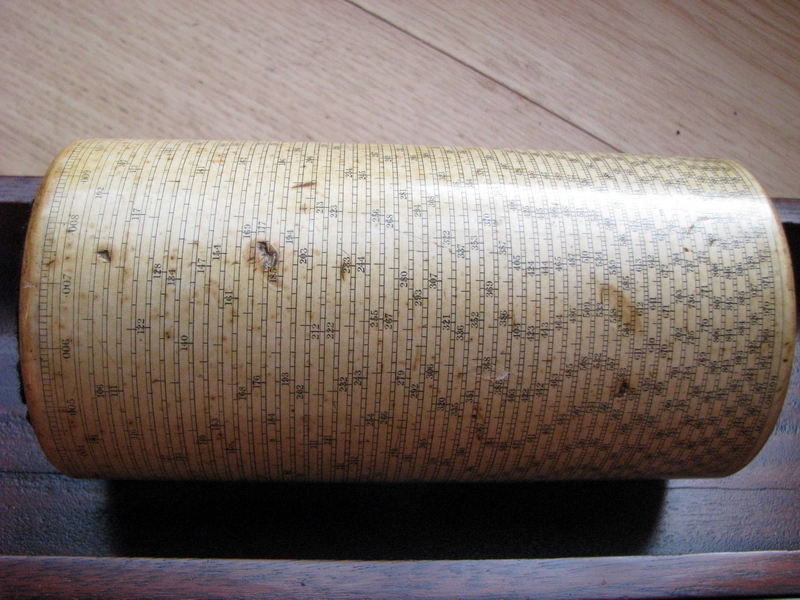 Because it is not a four-function calculator, this exceptionally early Fuller's spiral slide rule is for sale - make me a sensible offer!